I have been intrigued by computers since a very young age. At middle school I tried to configure a startup for Windows XP and Ubuntu, but I messed up, I broke the Windows installer and was left without an Operating System. After three days thanks to the mercy of How-To Geek and Super User, I was finally able to fix it. The same was I was scared about breaking the home computer I enjoyed fixing it and continue tweaking it. I studied at a Computer Technology vocational High School, were I took classes in Computer Reparation in order to obtain a certificate from CompTIA A+ and also some classes in Network Management Systems CCENT from Cisco. Unfortunately for me, our school was unable to participate in those exams and was never able to obtain the certificates. I worked as a Computer Technician for the school’s Department of Technology during my last year. I started my own business from home, fixing computers in order to collect some money to be able to pay the University. The best choice was a portable computer (Laptop), for University it was easier since I already knew more about the specifications, to think that “bigger numbers” means a better computer. I bought myself a new Lenovo 11s Yoga for $800, and it was as good as the recommended computers by the MIT service, and it was half the price. My portable computer worked very well until this year when it started to burn pixels, leaving ghost pictures on my screen. This would happen when leaving an image on the screen for a long time. The warranty I had bought for my Laptop was about to expire so I took it to the Geek Squad beginning of July. They game an estimated time for a fix of about two weeks. Five weeks later I received a call from them telling me that a part needed for the reparation was no longer on sale. To my luck they gave me a store credit to buy a new portable computer. Now I’m writing from my new Lenovo Yoga 2, that it’s twice better than my old Laptop and was only $100 more than the credit given to me by the store. I have received many questions from the parents at MIT about which laptop are good for their kids. I have complied the best advices that I have given my friends and customers when buying a computer. I hope it helps you make a more informed decision. The majority, if not all portable computers come with a Manufacturer Warranty that state that they will fix your computer if any part its defective. But the Manufacturer Warranty doesn’t cover falls, spills or theft. Make sure you pick one of the insurances that the many stores offer to your convenience. Ask for one that covers spills just in case, also covering falls and theft, even more if they plan on taking their computer to the university campus. There are some stores like Best Buy that will even return you money in the form of store credit when they are not able to fix your old computer. Warranties that cover software or antivirus scans are not needed. You can learn that easily yourself. I had to buy a software warranty when I bought my Yoga 11s two years ago, and I never used it. This is the question in everyone’s mind, and the answer they hate the most is. : It Depends. A Laptop and a MacBook can both work the same way, and the MacBook will cost you more, no matter what, only because it is an Apple product. Since Apple strictly controls their software and hardware. The MacBook is a lot more slim and lighter than most portable computers. It feels better and more resistant with an aluminum cover and a more elegant design. In the care of the portable computers, since their parts have to be compatible and exchangeable, they tend to be more bulky and heavy. Mac can also get viruses, and now more than ever since hackers are every time better at what they do and Macs are now more common. And with a Mac you still need a good antivirus. Mac can also get viruses, and now more than ever since hackers are every time better at what they do and Macs are now more common. And with a Mac you still need a good antivirus. Some softwares used in laptops do not work on the Mac. Students of Mechanical Engineering Course 2 should be aware of this, as the modeling software SolidWorks that only works on laptops. If you are going to be a mechanical engineer you should avoid a Mac. That does not mean you can not have one, but your life will be easier with a laptop, the reason is that the modeling software you will use (SolidWorks) it is not compatible with Mac, it was designed specifically for Windows and probably will never be transferred. That said, you can buy a Macbook Pro dual boot with Windows and then install SolidWorks. You will need a Macbook Pro, it is the only one of the three types of Macs that has RAM and graphics needed to comfortably run the modeling software. The Macbook and the Macbook Air tend to be a lot slower. So when choosing Mac or PC, think about the software that you will need to use and which one gives you the support you need. After that, assess their aesthetic and then everything else, also see all your specifications. The CPU processes and gives instructions received from the computer programs code. People refer to it as the brain of the computer as a simple analogy, but it’s really more like a powerful central calculator. Look for an Intel Core i5 or i7 processor. If you can get the i7 even better, it’s faster but also more expensive, it will be good for future upgrades although the i5 works just as well. Any processor below this may be usable but will become obsolete in a very short time. If you are buying a new laptop, get the value of your money with a good processor i5 or i7. Now the Intel Core M is in some of the new Surface Pro tablets. This is a less powerful than the i5 processor. Since it does not get heated so fast, it does not need a fan and this allows the tablet to be thinner and quieter. Choose this option if you are fine having a tablet / laptop with a small difference in performance capacity in exchange for a slimmer and quiet design. The speed difference is imperceptible for everyday tasks. The AMD processors are a convenient option for the budget. Prices are lower, but the CPU’s from Intel are generally more powerful. The RAM is the amount of main memory that computer programs have available for use. A computer with 4GB of RAM means it has about 4 billion bytes of memory to be used by the programs. More RAM does not mean that the programs will run faster, it means that can run many programs simultaneously. If you have 4GB and run an intensive program that needs 6GB, then it would be a great help to add more RAM, as it gives your program more memory to work. But if you have 4GB and your program only uses 2GB, adding more RAM will not make it run faster, it will only allow you to run more programs simultaneously. That said, if you’re buying a new computer, you must plan for the future and buy as much RAM as you can comfortably afford. As the years progress, the same old programs need more and more memory to work, as they become more complex. Due to this, today there are a lot of computers very slow even though many have not installed programs. It’s just that programs generally require more memory to run nowadays than they required in the past. 4GB of RAM has been the norm for years until now that conventional computers have been moving to the 8GB territory. The high-end computers and gaming computers are now even using 16GB. IS&T recommends 8GB. That’s more than enough to do anything, including SolidWorks and virtualization. Over time, programs will require more RAM, 8GB for now should be enough to use over the next four years. If you already have a laptop with 4GB, you can use it but be aware that you may need to update it in one or two years, especially if you use it with intensive programs such as SolidWorks, as I mentioned repeatedly SolidWorks. If you are buying a new laptop, do not buy 4GB, go for 8GB and think of 16GB as a luxury. A hard drive it’s a data storage device. Within the hard drive there are small discs, that read the data, the motors spin the physical disks under the magnetic heads of reading/writing. Having these physical parts moving inside the hard drive, limits its speed and makes them break more frequently than other parts. There are also solid state drives or SSD’s. These hard drives have no moving parts. Instead they use electronic semiconductor circuits built to store data. This makes them more resistant to shocks and faster than regular hard drives. SSDs are much more expensive than regular hard drives. But they are a technology that is much better and will replace hard drives soon. So I would opt for a 128GB SSD instead of a regular hard drive of 500 GB, if the price difference is not much. If you think that an SSD is too expensive, look for hybrid drives. They combine both technologies together in a drive for a cheaper price. For the storage size of an SSD, 128GB is usually enough. But now that 256GB is more accessible, evaluate the amount of storage space you need and store large files like movies and others in USB flash drives or an external hard drive. If you choose to stay with traditional hard drives, get the most value for your money and do not buy less than 250 GB of space. Even 1TB can be found for a super cheap price these days. It really does not matter if you have one, as you can always buy an external DVD for about $30. Make sure you have an HDMI or mini HDMI port (or a Lightning port for Mac). This allows you to connect to many of the projection screens or external monitors on campus. You do not need an Ethernet port if you have a wireless card in your laptop. You definitely do not need a VGA port, as it is being removed. Nor is this really that important to consider, because a lot of adapters for laptops that come with all port types are sold. Unless you use your laptop for playing advanced games, you really don’t need to worry about what video card your laptop comes with, since most of them already cover all the basics. But if you plan to use your laptop for advanced games, then you probably already know about video cards. For the love of beavers, do not buy Windows Vista. A few years ago a number of computers with Windows Vista were made “to affordable” and they were terrible. I had many clients who wanted me to help them make their computer faster but they had Windows Vista so there was not much I could do. Those were dark times. I think the icons for Windows 8 work much better on touch screen, and even then it is iffy. However Windows 10 is very good. It is a good mix of Windows 7 and 8. If you have Windows 7, 8, or 8.1, you can upgrade to Windows 10 for free. Consider the screen size you want. 11″ it is usually the smallest that is still comfortable to use, while the larger screen of 15.6″ will probably be too large to take to class on a daily basis. If you have Windows 8, probably your laptop has a touch screen. Windows 8 is unbearable without a touch screen. Windows 10 is better about it, but touch screens are very convenient. Choose a laptop that has a good battery life. Check all the specifications of the battery and read the comments on the internet to see if it meets all the specifications that are in the list. Get into the habit of making a backup. Regularly save your files to a security unit like the Cloud and / or a USB flash drive or external hard drives. You can schedule a time for the computer to automatically make a backup with online services. I backup my information in Microsoft OneDrive system and an external hard drive. Some stores like Amazon and Best Buy have several deals available for students to buy their laptops. I got a return of $ 150 when buying my laptop, thanks to a student discount. But I had to ask for that specific discount. 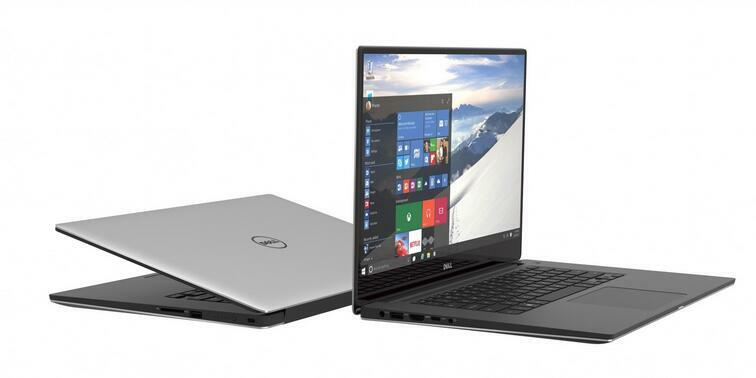 The models Dell has released have increasingly placed them in competition with Apple, and their XPS line is attractive to users who favor power and energy. The models themselves are of high-quality build, and cutting edge technology has enhanced their display units. It is the combination of these features that has enticed some Apple consumers to make the switch. Though 13″ ultrabooks have traditionally served my needs, I must admit I am a bit enamored with the Dell XPS 15. It’s premium build and quality graphics make it a top-notch choice for consumers. This particular model excels in that it hosts a 4k touch screen that covers more than 100% of the Adobe RGB color spectrum. This places the Dell XPS 15 ahead with an innovative edge on the competition. Bezel is almost absent, allowing a smooth, high-quality screen experience that boasts vibrant graphics. Another benefit is its port availability. These come in the form of USB 3, full HDMI, and an SD card slot. In addition, there is a USB Type-C/Thunderbolt 3 port that is highly envied by many competitors. The inclusion of these ports have established the Dell XPS 15 as a solid competitor to Apple’s Macbook Pro line of products. Last but not least, the Intel Core i7-6700HQ Quad Core CPU,32GB of RAM, 1TB GB SSD and NVIDIA GTX 960m GPU allow this laptop to easily process all your photo and video editing projects, it also includes the 4k video rendering in programs like Adobe Premier. The latest games are found at your fingertips, with classics such as “Rise of the Tomb Raider” or “The Division.” However, these cannot be played at 4k with high or ultra settings. 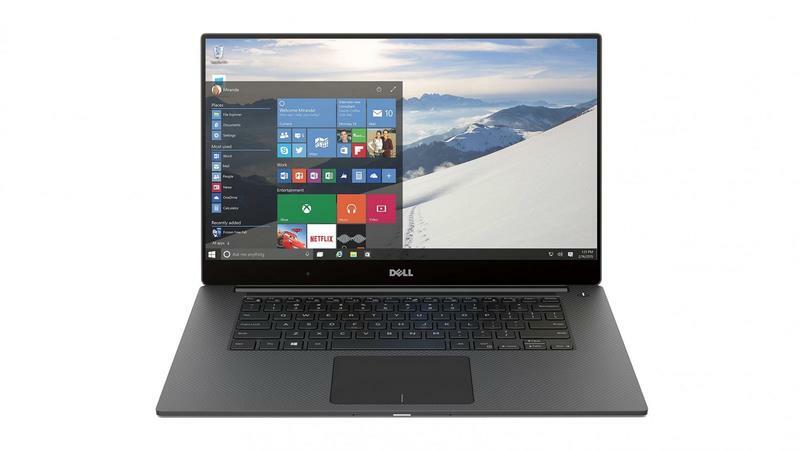 The ample storage, speed, and quality graphics make the Dell XPS 15 a top-notch choice among professional photographers who work with large files. Filmmakers have also found this particular model attractive due to its unique ability to render 4k video files in Adobe Premier. However, if portability is more important for you, perhaps the Dell XPS 13 might better suit your needs. Professional photographers continue to choose the Apple Macbook Pro 15-inch with Retina Display time and time again, confirming it as our first choice for the year 2016. 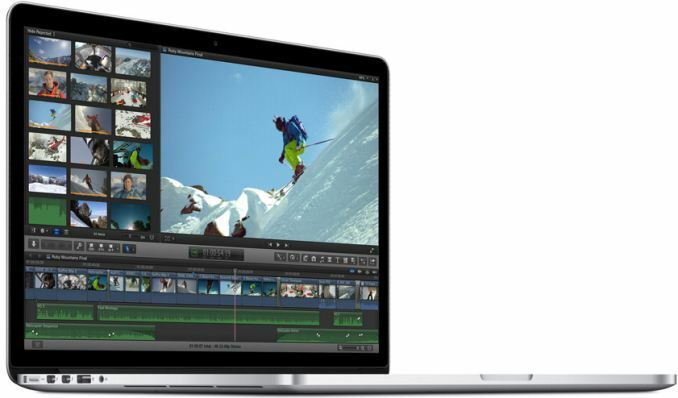 One reason this is the first choice among professional photographers include Macbook’s consistent, high-quality display. Instead of creating hit-and-miss models, Apple has been relentless when it comes to improving color gamut and laptop display. The dedication to enhancing resolution puts Apple ahead of other suppliers, and has earned it the first choice laptop for the year. For photography enthusiasts worldwide, the Retina Display is indispensable for viewing and editing photographs. This 15-inch model is packed with power, including the quad-core Intel Core i7. Hence, editing photographs is easily accomplished, and the integrated SSD accomplishes the same effect for the OS. The 2.2GHz i7 CPU model boasts a 256GB SSD, but serious photographers will find that a extra $500 will supply them with everything they need. For this amount, consumers will gain access to a 2.5GHz i7 CPU, 512GB SSD and dedicated Nvidia graphics. However, 512GB is the maximum storage available, highlighting the need to purchase external storage for large projects. It is not uncommon for professionals who utilize the MBP to have multiple Thunderbolt external hard drives, ensuring there is ample space for storing images and backing them up. Frequent travelers may find that the 13-inch Retina MacBook Pro is a more suitable and lighter-weight option. Though it is lightweight, it is still high quality, featuring a full 16GB of RAM. The most obvious drawback, however, is viewing and editing photographs on a smaller screen. In addition, it does not contain as many ports. The Asus ROG G752VS and ASUS ROG G752VM offers the best value for a 17 inch gaming laptop on the market today. The larger, 17 inch IPS screen itself is a great draw, and the GeForce GTX 1070/GTX 1060 GPU, Intel Core I7 6820HK or i7-6700HQ quad core processor and 16GB/32GB/64GB DDR4 of RAM makes this laptop an absolute beast. Storage space and expansion possibility is just the icing on the cake. All of these specifications combine to create a machine that runs even the latest games at the highest graphics settings and resolutions. 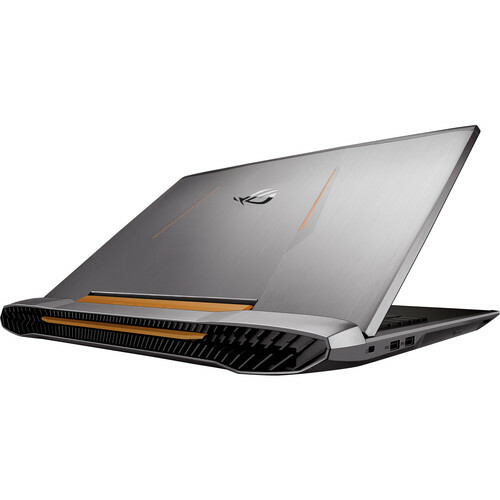 Besides delivering top-quality you, the ASUS G752VS and is relatively quiet, cool and sturdy. 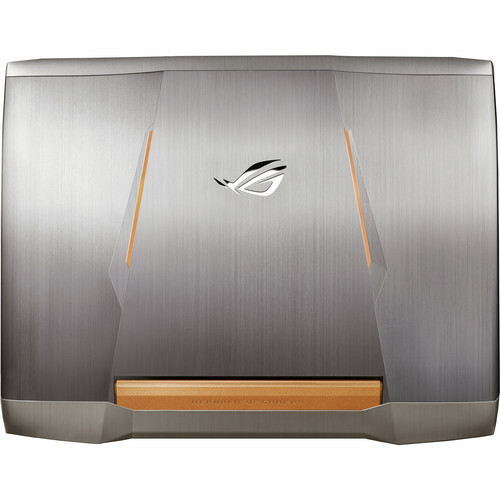 The ASUS ROG G752VS offers 1TB 7200RPM HDD and 256GB SSD storage, had 32GB of RAM and has an NVIDIA GeForce GTX 1070 graphics card. The slightly less powerful ASUS ROG G752VM has just 16GB of RAM, an 128GB SSD instead of 256GB SSD storage and an NVIDIA GeForce GTX 1060. 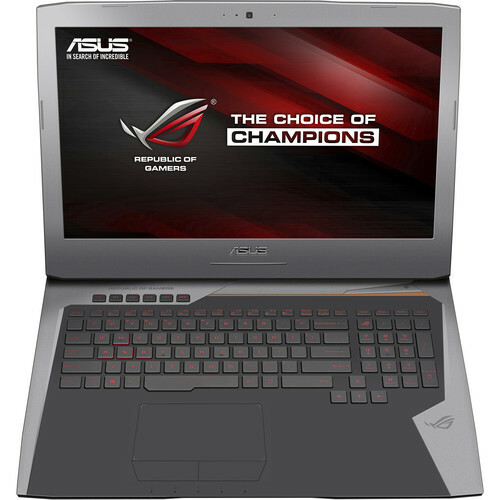 If you want to save money on an excellent gaming laptop, the second option ASUS ROG G752VM is more than sufficient for most needs. The NVIDIA GeForce GTX 1060 offers powerful graphics display, but suffers a bit when set side-by-side with the GTX 1070. Although the former is just one step down from the latter, the step is considerably large and does make a bit of difference if you want to play most graphically intensive games in high-definition. The NVIDIA GeForce GTX 1080 as a higher clock speed (1442MHz versus 1404MHz), 37% more shader units (2048 versus 1280) and more memory (8GB versus 6GB). This makes the GeForce GTX 1060 considerably weaker than the other graphics choice. Asus Turbo master overclocking to give this great gaming laptop a 5% performance boost, a “3D Vapor Chamber” cooling system with two upgraded independent fans and copper heatsinks brings more efficient cooling. The GameFirst III four network optimization to prevent lag. The G752 series offers sleek styling even though many of the design elements were changed. It takes some inspiration from the F-22 Raptor military jet. The keyboard features chiclet keys and a backlight the glows red. 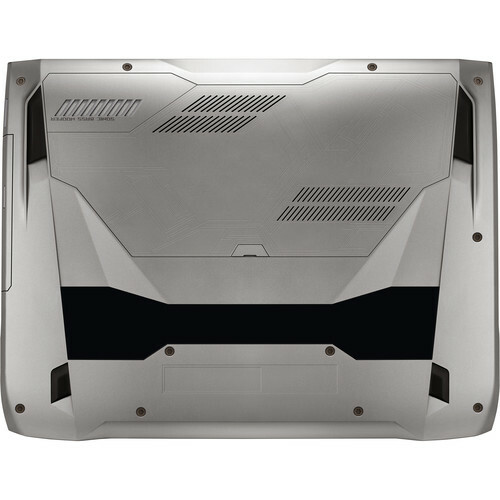 There is a glowing ROG logo on the lid of the aluminum chassis. All of this power and style fits into 1.5 inch thick laptop that only weighs 8.8 pounds. 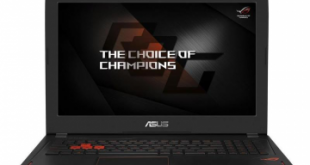 These features and upgrades combined with the characteristics that already elevated the G7 series into the forefront of the gaming laptop industry makes the Asus ROG G752 our pick for one of the greatest options available on the market today. 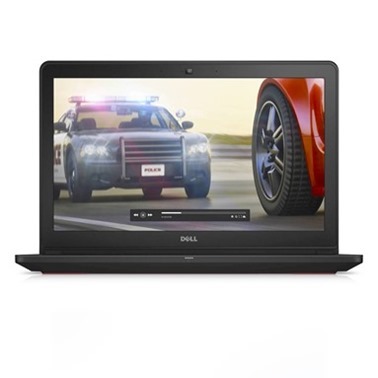 If you are looking for a high quality, best selling laptop, look no further than the Dell Inspiron i7559-763BLK. This 15.6 inch laptop has received excellent reviews for its quality, full sized keyboard, Full HD Screen and its many state-of-the-art specifications. This Dell’s hardware is 6th generation Intel Core i5-6300HQ processor. This is a quad core CPU with 6mb cache which guarantees high performance while using less power. That comes down to better output and longer lasting (10 hr.) battery life. With a screen resolution of 1920 x 1080, this machine is very well suited for games that are mid to high range. Another reason you should check out the Dell Inspiron i7559-763BLK, it comes with a single channel 8GB memory that can be upgraded to 16GB. This memory will give you more than you will need for most games or other applications such as Photoshop, Illustrator and so many more. Although its storage is limited, the 256GB storage is lightning fast! Should you need more storage, you can easily store files on a variety of online cloud services and don’t overlook the SSD installed on the M.2 slot. Also, keep in mind there should be plenty of free space and connection for a regular 2.5 SATA hard drive. Probably the greatest feature of this laptop is its video card! Its high performance, dedicated NVIDIA GeForce GTX 960M 4GB of GDDR5 graphics card. Combined with a powerful, newly launched processor with video card, you will have no problems playing most games; Fifa 15/16, GTA V and Gear Solid V. More demanding games such as Far Cry 4 or The Witcher 3 may require setting the graphics to medium in order to preserve playable frame rates. For it’s mid-range price, it’s worth it, unless you are into only high-end games (as mentioned above). On the downside, it lacks an optical drive and there seems to be an overkill in its plastic designing, some minor screen bleeding and only offers 8GB of RAM but, again, you can be upgraded to 16GB. At it’s current price around 800 dollars, it’s worth the price. Were it to cost $1,100 or more, I’d look elsewhere. There is very little about this laptop not to love! From its excellent graphics card to it’s full HD Screen (1920 x 1080 ) and amazing 10 hour battery, it’s a darn good machine at a darn good price. Also Note: If you are a graphic designer but do not want to spend a king’s ransom on a laptop then this should be on the top of your list. Whether you are a gamer or want a laptop for work or graphics, I would not overlook this great laptop. You can’t go wrong with buying the Dell Inspiron i7559-763BLK!